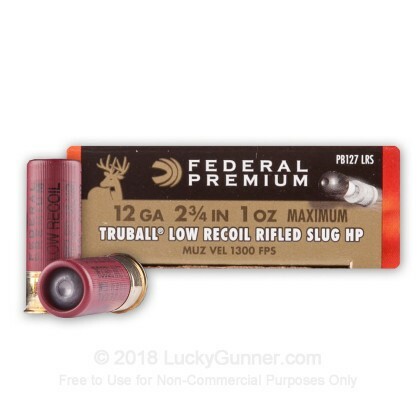 Federal Premium's Truball HP rifled slugs produce industry leading accuracy for smoothbore shotguns. 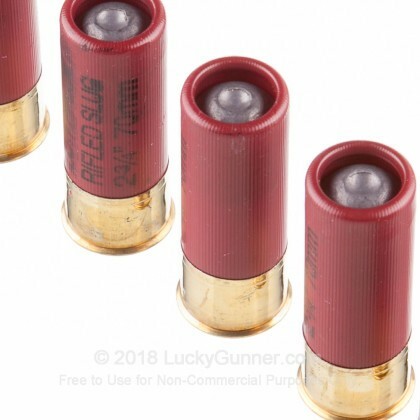 Federal realized that most deer hunters who use a shotgun are using traditional smoothbore shotguns and they wanted to bring a higher level of accuracy normally only achieved with Sabot slugs designed for rifled shotguns. The Truball slug is designed to close this gap providing higher accuracy levels than were previously achievable out of standard rifled slugs! 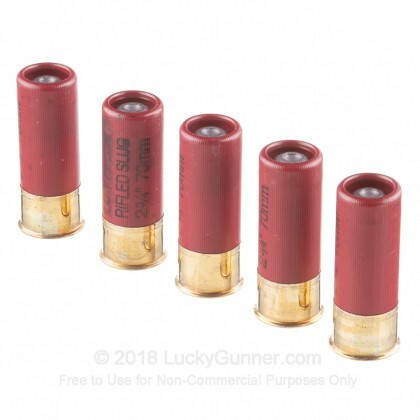 Truball HP rifled slugs are designed to deliver 2" groups at 50 yards, far more accurate than standard technology slugs, to provide deadly accuracy. This accuracy is achieved through the use of a simple plastic ball between the wad and slug which centers the slug in the barrel. This low recoil load reduces felt recoil allowing for more accuracy because anticipation of the shot is reduced. 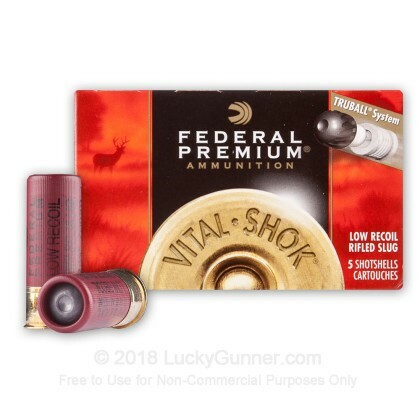 Federal Premium ammunition is made in the United States in Anoka, MN. 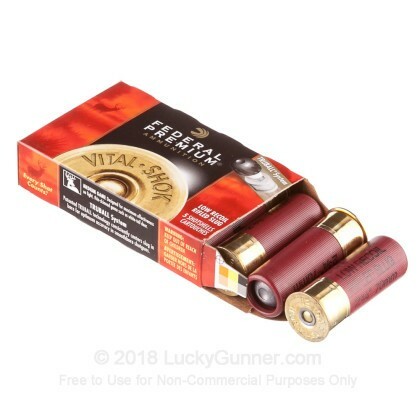 We don't have any reviews yet for this particular 12 Gauge ammo from Federal. 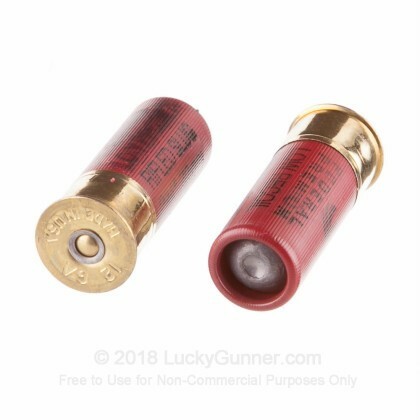 If you'd like to be the first to review this particular 12 Gauge ammo from Federal, fill out the form below.